Tonight is an exciting night here in Amsterdam (although it seems that for most visitors, every night is pretty exciting in Amsterdam). I’ll be performing European Klezmer with the Mike Anklewicz Klezmer Trio (with bassist Gregor Schaefer and accordionist Erica Roozendaal) at the Portuguese Synagogue in Amsterdam. We’re going to be playing an interesting program at the historic “Esnoga” (as the Portuguese Synagogue is also known), focusing on klezmer from European sources. The history of the venue itself is fascinating: it was finished in 1675, built for the Portuguese Jewish community that had immigrated to the Amsterdam about a hundred years earlier after being expelled from Portugal and Spain. 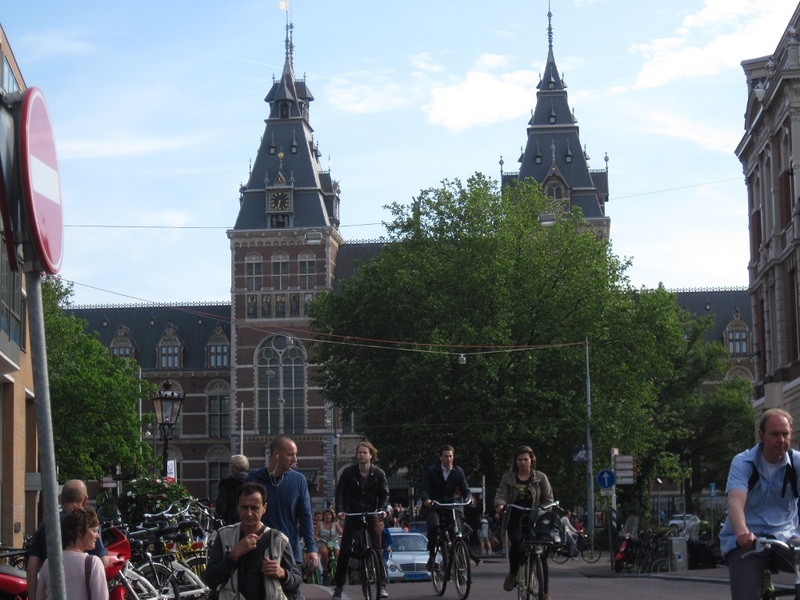 This community was able to leave a good life in the tolerant environment of Amsterdam and amassed enough capital to build such a magnificent structure. It has been standing since then and was spared the violence of the Second World War although the Jewish community had a different fate. The music that we’re performing comes from a number of sources, primarily European recordings made before World War I, performed by V. Belf and some of his imitators. We’re supplementing these sources with some tunes collected by Ukrainian ethnomusicologist Moshe Beregovski as well as some tunes that came from Europe via Moldovan clarinetist German Goldenshteyn who immigrated to the US in the 1990s. We’re also supplementing that repertoires with a couple of contemporary “neo-traditional” klezmer compositions by our bassist Gregor Schaefer and the well-known German-based clarinetist Christian Dawid. If you’re in Amsterdam, we invite you to come to the concert. Just follow the links for information in Dutch or English. We need your help! With just a few weeks left in our Indiegogo campaign, your contribution is going to make a difference! KlezFactor: Europa will be the third album of klezmer fusion that brings together a whole world of musical possibilities!